The American Association for the Advancement of Science (AAAS) is an international non-profit organization whose mission is to advance science for the benefit of all people. The annual AAAS meeting is an exciting place for discussions on how science policy benefits society. Influencing science policy can be achieved by multiple avenues, including getting the voices of junior scientists in the conversation. 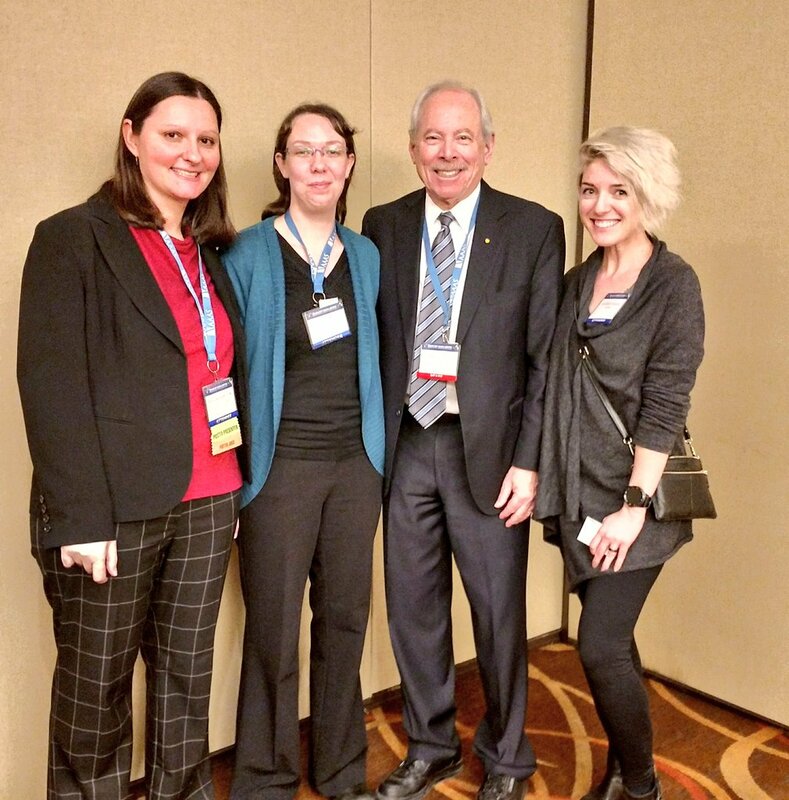 The background: During the 2017 AAAS meeting, Future of Research members attended the Open Forum: Perspectives on the Future of STEM Graduate Education, a session led by Dr. Alan Leshner, CEO Emeritus of AAAS and Chair of the Committee on Revitalizing Graduate STEM Education for the 21st Century at the National Academy of Sciences. This ad hoc committee is under the auspices of the Board on Higher Education and Workforce (BHEW) and the Committee on Science, Engineering, and Public Policy (COSEPUP), and liaising with the Government-University-Industry Research Roundtable (GUIRR) and Teacher Advisory Council (TAC). The committee will lead a study of STEM graduate-level education in the U.S., directed by Layne Scherer, revisiting and updating a similar COSEPUP study completed 20 years ago, which was named Reshaping the Graduate Education of Scientists and Engineers. The products of the new study, including feedback from this open forum, will be used in service of producing an Academies report to enhance STEM graduate education. The big question: Following the introduction, Dr. Leshner posed the big question as a focus of this forum, which is “How can and should graduate training be modified/adapted to more appropriately meet the needs of the 21st century?” He explained that we should carefully answer this question, without compromising what it means to be a PhD in science, and without “tracking” (i.e. forcing into particular career streams) students too early in the process. A national dialogue on graduate education: On a national level, the dialogue is focused on engaging the education community on critical issues, including universities (leadership at all levels, faculty, staff, students) and employers (industry, government, non-profits, academia), as well as professional societies and associations, policymakers (federal, state) and funding agencies. #1: Reframe faculty success: One of the major points throughout these discussions was that reluctance comes from faculty, therefore we need incentives to make faculty change. This is challenging as faculty rely exclusively on trainees to advance a specific scientific field in their lab. In addition, this practice is rooted in the fact that faculty success is directly tied to their trainees going into academia. But in fact this mentality needs to change, and the entire system needs to stop thinking of faculty whose trainees don’t go into academia as failures. At the same time, however, we need to be careful not to develop a culture change against faculty, but rather work together with them towards a common goal. #2: Train faculty as mentors: One possible reform in this regard would be training faculty to be better mentors, and therefore promoting/incentivizing practices for them. Pedagogy training for faculty, as well as training them to be better leaders and managers, were potential ideas brought up during the open forum. These ideas could be packaged into a tape produced by the National Academies containing a set of universal guidelines on being an effective mentor. The flip side of this argument was that, in order to help faculty in their goals, graduate students and postdocs should also be trained in how to be better mentees. Therefore, developing of a list of expectations for both mentors and mentees was proposed as a potential solution. #3: Get faculty out of the lab: Trainees are now pursuing many different types of career paths following completion of their graduate training. Therefore, we should be training them for the careers they want to have, and this includes both academia and non-research careers. Ideally, faculty would be supportive of their trainees’ career goals, but also they may not be familiar with what it takes for them to succeed in the multitude of potential career paths. One possible solution to this issue would be to get faculty out of the lab to experience some of these other fields themselves. In terms of science policy careers for example, we could enable faculty to participate in a AAAS science and technology policy fellowship (particularly if they didn’t get this experience during their PhD/postdoc training), so that they may then go back to academia and tell their trainees why this experience is useful to them. In this manner, faculty could promote the importance of science policy training for their graduate students. As junior faculty are beginning to be more open to this idea, they can also become useful advocates for changing the culture of science. #4: Incentivize career development: Beyond getting faculty out of the lab, encouraging faculty to allow students to participate in career development activities outside the lab is critical to their success. This practice would ensure exposure of trainees to various career paths while still getting their experiments done. But how do you achieve this goal in an environment where graduate student training is tied to funding? Can the two concepts be separated? Making professional development activities a requirement for trainees may be a potential solution. This could be achieved by incorporating career development activities into trainee job descriptions or faculty grants. However, the latter would assume the existence of available professional development funding for faculty to allocate to this type of training. #5: Alter graduate courses/programs: Currently, making professional development a part of training without taking too much time away from the lab can be achieved by just having lunch meetings around different career topics. Other ideas from the open forum, particularly focusing on science policy training, would be including science policy courses as part of graduate training, and/or developing a science/policy dual degree program at universities across the nation. Besides the classroom, other ways of helping students gain policy experience includes getting involved in local policy, graduate student groups on campus, and writing about various scientific topics to lay audiences. #6: Give junior scientists a voice: Another critical part of this forum was the idea that junior scientists (in particular graduate students/recent graduates) need to have a voice in shaping graduate education. At Future of Research, we are strong advocates for this idea. One way this could be achieved is by involving trainees on committees, to allow them to voice their concerns on matters of importance to them. Another important aspect of this is teaching trainees how to start their own programs/resources for things they feel should exist (for example mental health support for graduate students). The National Academy of Sciences could then create a set of guidelines to help with this initiative. What opinions do you have in terms of shaping the future of graduate education? We want to hear from you! Note: Some information in the beginning sections of the post, prior to the discussion highlights, was taken from Dr. Alan Leshner’s slides presented during the open forum.